Hidden? This red open feather flag will let customers know that you exist. 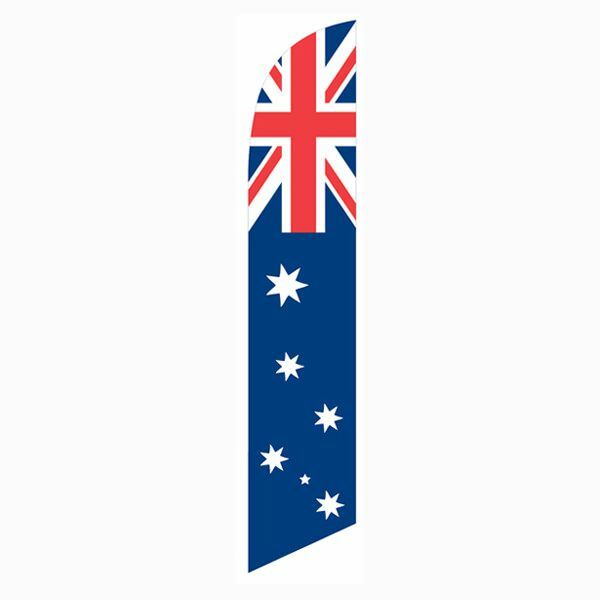 This red open feather flag is our most popular design, right after our blue and white open swooper flag. 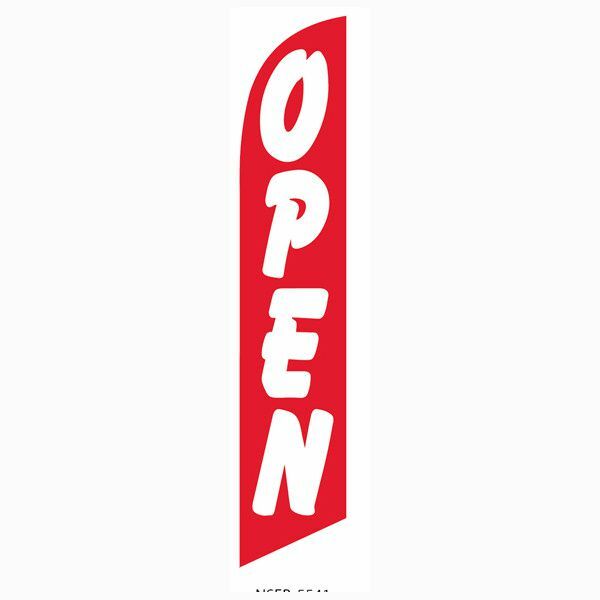 It is a rich and bright red flag with the text “Open” on it in white. 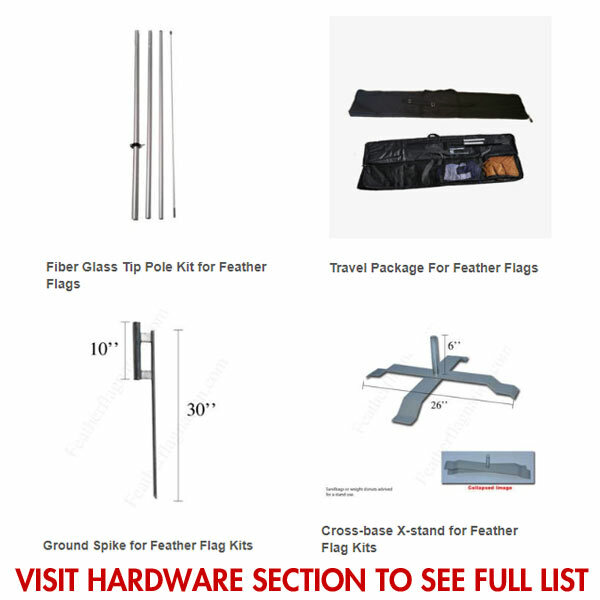 With the feather flag pole kit and ground spike, it can easily me mounted to grass or dirt locations. 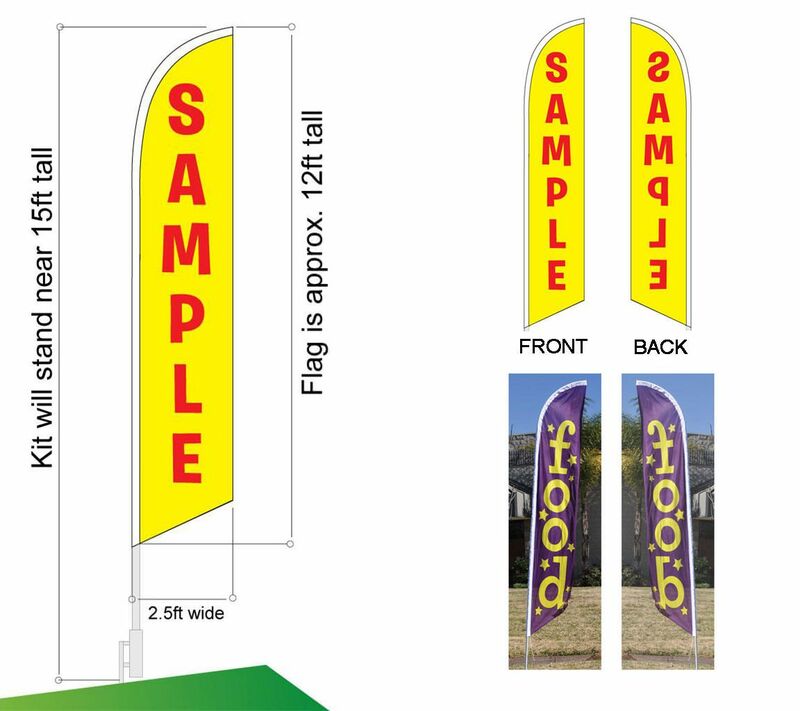 With the cross-base and weight-donut, you can use this open flag on all flat solid surfaces. A Unfortunately, this is not available in a smaller size.A smaller size would require a custom flag print, which would increase the cost to $99.99 per kit. 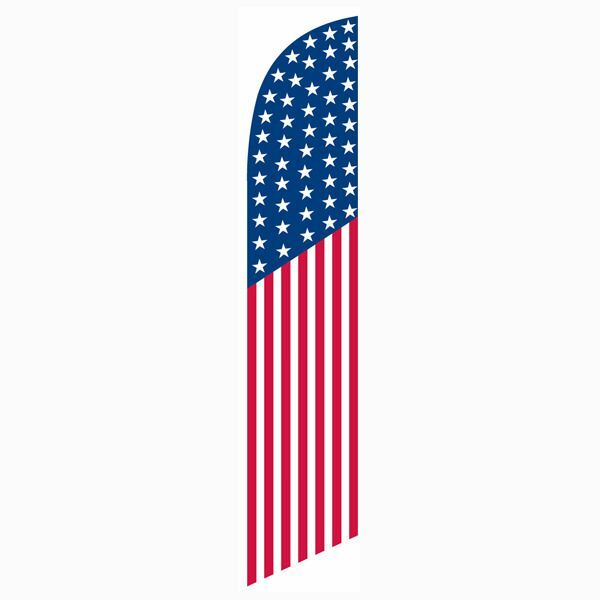 A This Open flag is single-sided with a reversed back. Ink from one side bleeds through to the back. 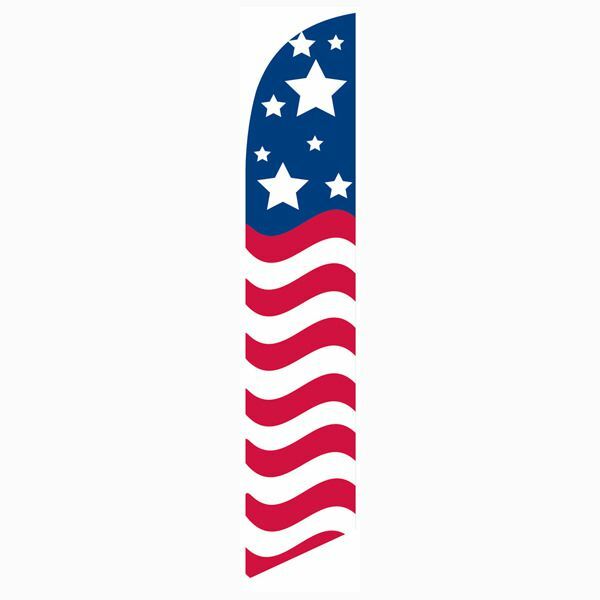 Q What are the dimensions of this flag? 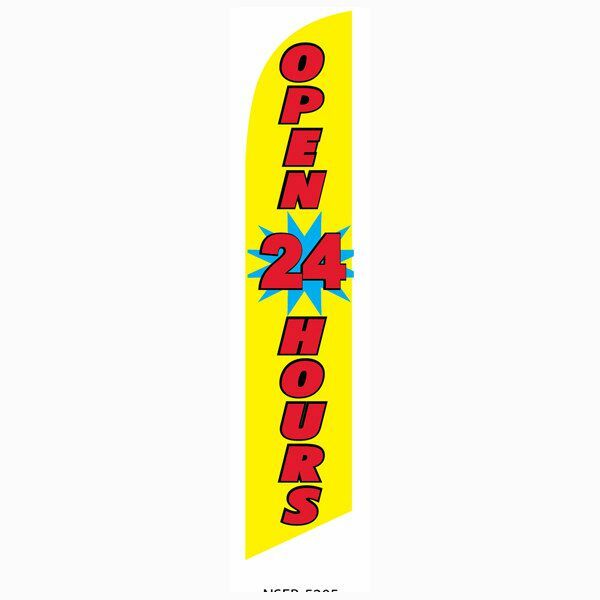 A This open banner flag is approximately 12ft x 2.5ft.